The Discovery Audit analyse your company's processes and identifies the most vulnerable in case of a disaster of any kind. It is the first step of a Business Continuity Plan. Identify the processes the most vulnerable to disaster. Get prepared for the worst by asking a Business Continuity Plan. 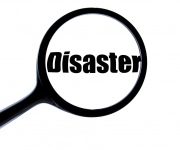 A detailed business impact analysis report to determine the financial and other consequences of a disaster, security failure or loss of service, and the basic requirements for continued service/product availability. Identification of critical business functions and processes. Management has a better understanding of the full impact of business disruption. Continue the process further and increase your business resilience by asking a Business Continuity Plan.